Apply the law of sines to establish a relationship between the sides and angles of a triangle. 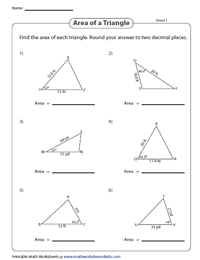 This set of trigonometry worksheets covers a multitude of topics on applying the law of sines like finding the missing side or unknown angle, missing sides and angles, find the area of SAS triangle and so on. 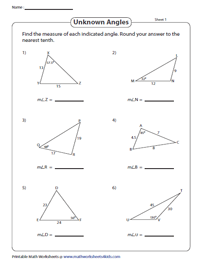 The PDFs help high-school students to develop and deepen the conceptual understanding of the law of sines to solve oblique triangles. Use the law of sines to determine the missing side of a triangle when two angles and a side of the triangle are given. Plug in the known values of sides and the opposite angle in the law of sine formula to determine the measure of the unknown angle to the nearest tenth. 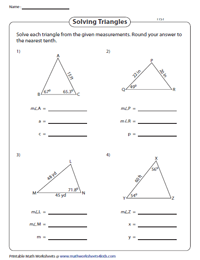 This set of well-researched worksheets features eighteen oblique triangles. Apply the law of sines to compute the missing side or the unknown angle and validate your responses with the corresponding answer key. 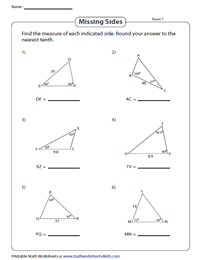 Each worksheet contains four triangles. 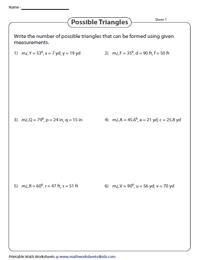 Incorporate the sine rule to solve each triangle using the measurements provided. Type 2 worksheets feature exercises in the word format. Substitute the known values of the triangle in the law of sines and solve each triangle. 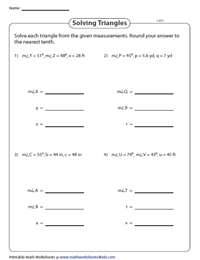 Gain effective practice on the law of sines with these comprehensive printable worksheets. An ambiguous case may arise when two sides and the included angle are given. It is a special circumstance where more than one solution is possible. 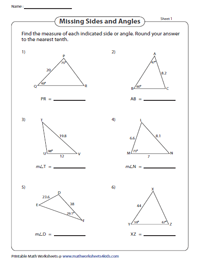 Calculate b sin A and also refer the chart to find the possible number of triangles in an ambiguous case. Two sides and the included angle are given. Compute the area using the side-angle-side formula.